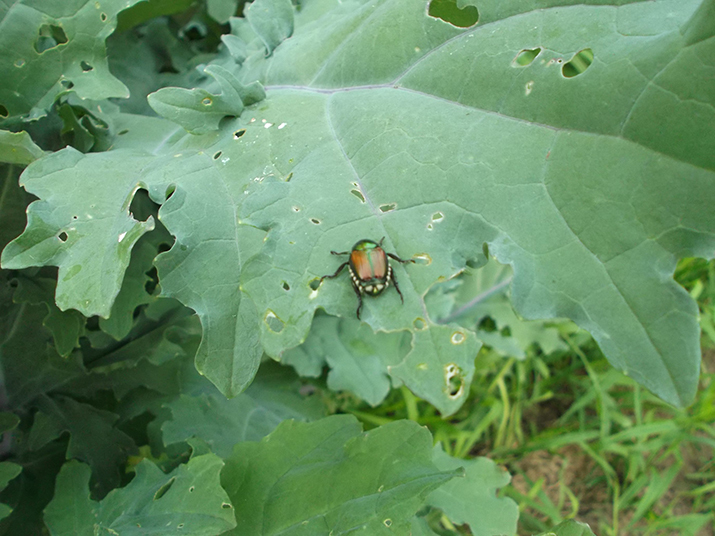 A lot of our field and vegetable crops are now being attacked by Japanese Beetles, see photos. They consume the leaves of many crops, such as corn, soybeans, snap beans, tomatoes, melons, etc. Please check your fields now or contact one of our Allied Cooperative agronomists to assist you. This entry was posted in Agronomy, Crop Scouting, Pest Control and tagged agronomy, allied cooperative, corn, crop scouting, japanese beetles, pest control, soybeans, tomatoes. Bookmark the permalink. ← Answer Plot Event Tonight!